“If you have no love in your heart, you have nothing, no story, no dreaming, nothing.”* That’s why you need to follow your passion and be “in spirit”. Inspiring others, with your love and imagination, and love will come back to you a thousand fold. I love nature, and wildlife! This young burrowing owl is taking its first steps away from the home and safety that’s been its burrow. It’s alert and cautious about this strange and wider world, yet willing to embrace what life has to offer. 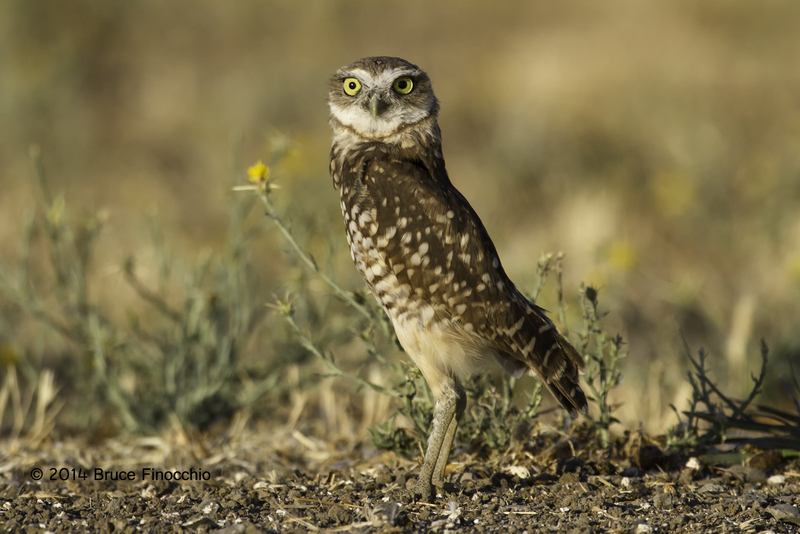 Are you willing to embrace life like this young burrowing owl? *Quote from the Movie Australia. Nicely done Bruce. Great connection with the little guy. Feels that it was not a “grab” shot, but rather time that you spent observing their behavior. Great shot. Oliver. Thanks Oliver. Learning about your subject, spending time observing wildlife does pays dividends, becoming a naturalist gives you more chances and opportunities to create exciting imagery… A lesson for beginners and those inspiring to become nature photographers. Previous Previous post: Sometimes You Get Lucky or Maybe Not!